Agentology is a lead response and nurturing solution for real estate agents which utilizes trained concierges to follow-up and manage leads generated online. Inbound leads are instantly contacted, with multiple attempts carried out via email, SMS, and phone if they cannot be reached immediately. Agentology’s concierges instantly follow-up with new inbound leads 24/7/365, ensuring that leads are contacted within minutes to begin the nurturing process, and allowing users to focus their energies on motivated prospects and clients.. The concierges adhere to a 10-touch follow-up process for leads who cannot be reached instantly, and are trained to ask prospects the right questions. Users can view all chat histories and take over conversations at any time, with live transfer of hot leads. When users are not available to talk immediately, Agentology books appointments with warm prospects in the calendar. Notifications are sent to users by email and SMS, and detailed lead summaries and action items provide information on where to pick up when prospects are transferred. Agentology also offers a referral network for unwanted leads, with users offered a 25% referral fee for every deal closed. Best lead conversion company ever! They are helping me connect with more people. No more stress of not connecting with that lead in time. Agentology puts you in front of more opportunities to gain more sells and grow your business.You will convert more sells by using Agentology. Their team reaches out to your leads 24/7 at all times. They will qualify your leads for you. This super helps when you are busy in a showing or at a listing appointment or at a event etc. You won’t miss that next great lead when you use Agentology. Super friendly and they go beyond to help qualify your leads. You will convert more sells by using Agentology. Their team reaches out to your leads 24/7 at all times. They will qualify your leads for you. This super helps when you are busy in a showing or at a listing appointment or at a event etc. You won’t miss that next great lead when you use Agentology. Super friendly and they go beyond to help qualify your leads. Agentology has a great agent dashboard. Everything works very smoothly and is all linked in with your calendar. Easy to navigate around. Very integrated. Thank you so much for your review, Nathan! 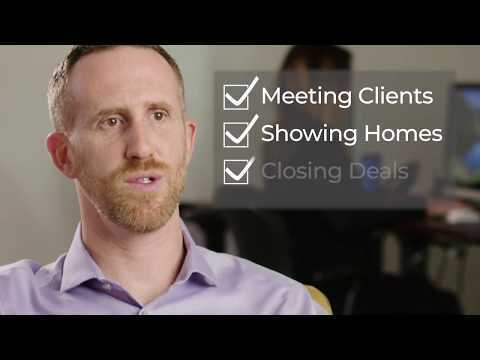 We love helping you connect with more motivated buyers and sellers so you can focus on what you do best: showing homes and closing deals. Nice to never have a lead fall through the cracks! Agentology solves the problem of not being able to answer each call within a few minutes because of other tasks to be done (or sleeping)It's nice that the leads are being screened to separate who is just looking from someone who is ready to buy. So nice to be at ease when you miss a call because you know it is being taken care of. It's nice that the leads are being screened to separate who is just looking from someone who is ready to buy. So nice to be at ease when you miss a call because you know it is being taken care of. I wish agentology could see my schedule on a calendar and let me know when someone is ready to book a showing. I understand that is coming soon. Really good. Again the personal touch makes all the difference from their customer service.Easy to use. Great Customer Service! I like the notes from the customer conversations. Easy to use. Great Customer Service! I like the notes from the customer conversations. Switching over to new system - the referrals didn't transfer. So I had to switch back and forth a lot. It's a great tool for lead generation. Put some money in my pocket.Work's fluently with my other systems I use. Work's fluently with my other systems I use. I'd like to see some sort of report. I don't think that's an option now unless I'm missing it. Super easy to use, follow along and watch how they interact with your clients. I wish we could be told if the employee is a girl or a boy. They are all named Alex, which makes it easy, but when I am talking to the cleint I have to avoid pronouns until I hear them say, "Alex was great, she was so sweet" etc. $195/month membership fee plus $5 per lead processed. Agentology’s trained concierges instantly respond to inbound leads 24/7/365, and users can view each lead’s chat history in real time. With the 10-touch follow-up process, agents make up to 10 attempts to contact each lead through SMS, phone, or email if they cannot be reached immediately. Live transfers allow users to instantly speak with hot prospects whenever they are ready to talk. Warm appointments with motivated buyers and sellers are booked into users’ calendars if they are unavailable to speak immediately. Users are provided with instant SMS and email lead notifications, action items, and detailed summary reports. Below are some frequently asked questions for Agentology. Q. What type of pricing plans does Agentology offer? Q. Who are the typical users of Agentology? Q. What languages does Agentology support? Q. Does Agentology support mobile devices? Q. Does Agentology offer an API? No, Agentology does not have an API available. Q. What other apps does Agentology integrate with? Q. What level of support does Agentology offer?